One of the added values on mobile apps is the ability to send Push notifications from a back-end application to a specific device (i.e. Push message) or multiple devices (i.e. Broadcast message). When implementing a form of Push or Broadcast messaging, you generally require two components: a BroadcastReceiver and an IntentService, which we kindly submit to rigorous unit testing. In this example, we just created a BroadcastReceiver that dispatches the intent to the IntentService for further processing. In the application manifest we defined the receiver to listen to incoming GCM messages, but you might even have BroadcastReceivers listening to local broadcast intents. * Created by vandekr on 12/02/14. * Fetch the Broadcast receiver and cast it to the correct class. Testing IntentServices is a somewhat more complicated matter. The current implementation of Robolectric does not invoke the "onHandleIntent", ergo nothing happens. A way to fix this, is to stub or mock your IntentService class in your tests and override the "onHandleIntent(Intent intent)" method to broaden its scope from protected to public. 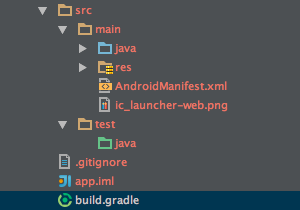 Because of the introduction of Mock objects in our project, we need to update the build.gradle file to exclude all files that are not named "Test" from the TestRunner. 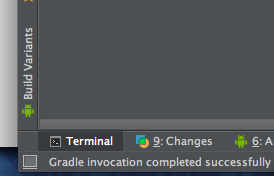 Add this snippet to the bottom of your build.gradle file. As mentioned in the comment, if you do not add this snippet, you will get these nasty "superClassName is empty" exceptions, which can give you a true run for your money. Our IntentService test will have to test cases: one without a bundle (which should display no notification) and one with a correctly provided bundle (which does display 1 notification). In the latter case we will also verify that the text (displayed in the notification) contains "You are going to eat an apple", which contains the actual action that was sent using the intent in the test case. The test class contains the MyBroadcastIntentServiceMock (might deserve a better name) which extends the MyBroadcastIntentService. 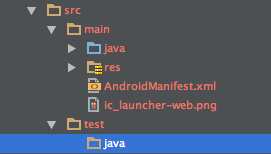 By overriding and exposing the onHandleIntent(Intent intent) method we are able to actually test the code.